Help is here if you are scouting the market for a new uniform solution and provider. Our uniform specialists guide you through what you need to remember and consider. Our uniform specialists have put together a few takeaways you need to consider. When finished reading, you will know what to look for when choosing uniform material. Are you going for durability over cost? Some solutions might be cost-friendly; however, can they cope with everyday wear. If introducing new uniforms regularly, sacrificing durability for cost might be your option. Discard that idea if your future solution should last for several years - and be dry-cleaned regularly. 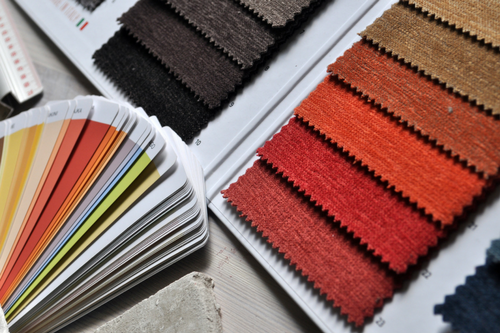 All fabrics have pros and cons ➜ Your needs should decide your choice. Viscose lining may suffer from continued dry-cleaning, whereas polyester is more durable. Cotton fabrics, along with wool, linen and bamboo, offer good breathability. Wool is comfortable to wear both summer and winter. A few % of elastane (high in elasticity) will improve fit. Garments treated with bionic finish repel oil and dirt, are water resistant, last longer and can be dry-cleaned repeatedly. Uniform solutions featuring wool fabrics tend to be in high demand; they keep the shape, are comfortable and look professional. The quality and fit will surprise you. Reach out if you have any questions - or need help creating the perfect solution.